As people are becoming more aware of bad ingredients hidden in their foods, such as hydrogenated oils and high fructose corn syrup, there is a growing focus and emphasis on what goes into your body. And rightly so. There is also attention that is starting to be called to another important aspect of health: what you put on your body. 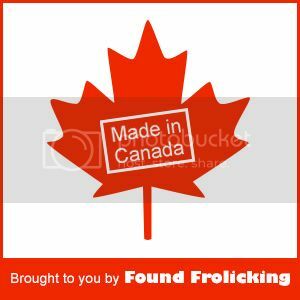 That's why, for one of the last "Made in Canada" features before the series ends, I thought it important to have a feature that is all about skin care. Whether it's on yourself or your little ones, the best thing is safe, all-natural products. Baby Mama Naturals provides exactly that, using only the best and most simple ingredients to make products that get the job done. I've always been pretty sensitive to scents. Perfume and cologne is always guaranteed to send me into a fit of sneezing. But what I always found strange, was that even lotions, facial moisturizer, and other body care products can also trigger a reaction. It seemed to vary from brand to brand, and the particular strength of the scent. As I started to switch from regular products that could be found at a pharmacy store to specialized natural products, I found that it triggered less and less problems for me. With Baby Mama Naturals, I've had no problems at all! I received a lip balm, glam gloss, bum balm, and lip & cheek balm for review. As a full-time cloth diapering mama, it can be hard to find cloth diaper safe products to use for baby's bum. Regular rash creams are not baby safe, and can actually destroy your cloth diapers, even making them lose their ability to absorb! Trust me, I found out the hard way. So I was very happy to discover the bum balm is cloth diaper safe. I started using it immediately. My go-to for a barrier cream or helping to clear up developing rashes has been extra-virgin coconut oil. But it's always been a nuisance to me. Either it's too cold in the house and it's hard as a rock (in the winter), and therefore very difficult to apply, or it's hot in the house (in summer), and it turns to water and it runs all over the place, and therefore is also difficult to apply. 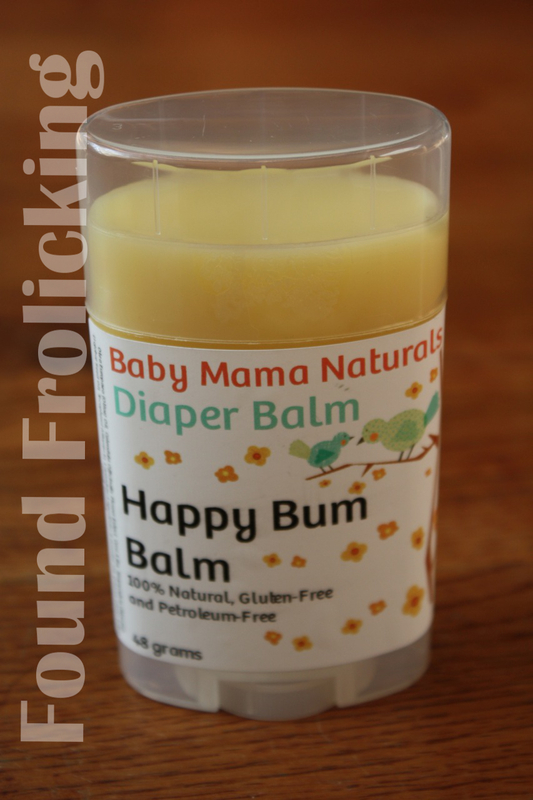 Using Baby Mama Natural's bum balm, I simply didn't have to deal with any of that. 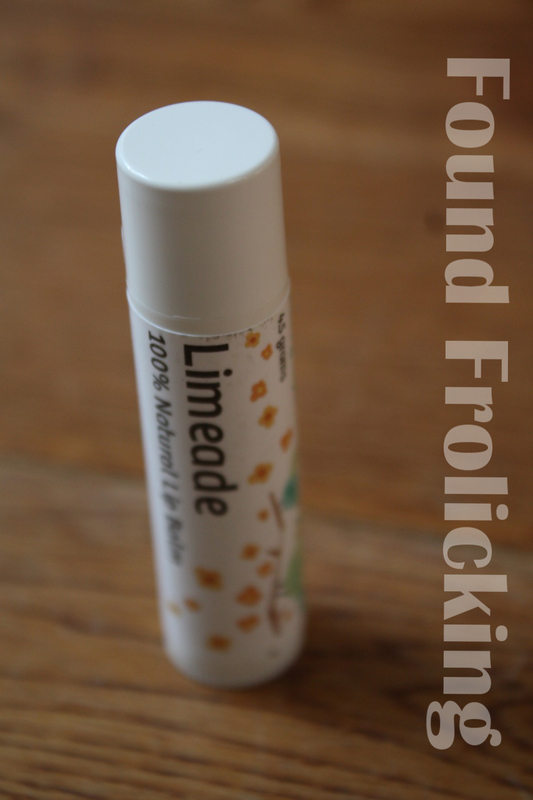 It can be purchased in a tub or a stick, and the stick is very easy to apply. I love that it applies a good layer, which helps it work fast. Coconut oil would take me four days to clear up what this bum balm will often do in a matter of hours. The glam gloss I received is in the "Box O' Wine" color. It's a gentle reddish-pink color, and is very subtle on the lips. I gave up on lip gloss a long time ago because I find it irritating how sticky it is. 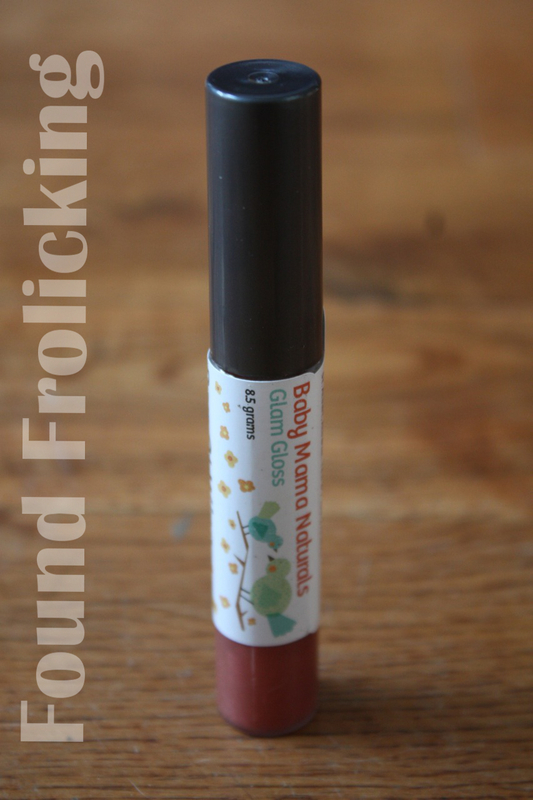 But Baby Mama Natural's glam gloss isn't sticky at all! On top of that, it smells amazing and is even pretty tasty (*ahem* I haven't been licking some off my lips on purpose at all...)! The Kissy Lips lip balm, which comes in amazing flavors such as chai tea, gingerbread man, pina colada, orange creamsicle, double mint, and cuppa joe, is deliciously hydrating. I ended up with the limeade flavor, and it smells delicious! 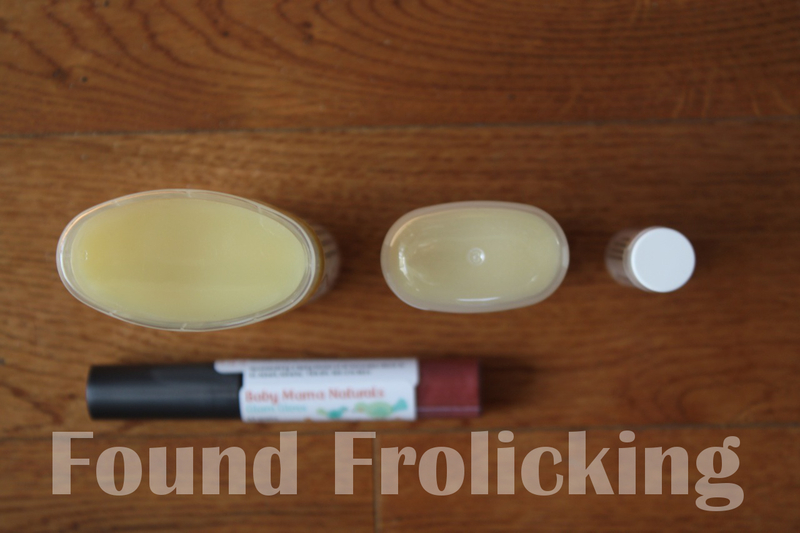 It's thinner than some lip balms I've used, which makes it easier to apply easily and evenly. You will only find the best ingredients in the tube, such as almond oil, shea butter, and cocoa butter. 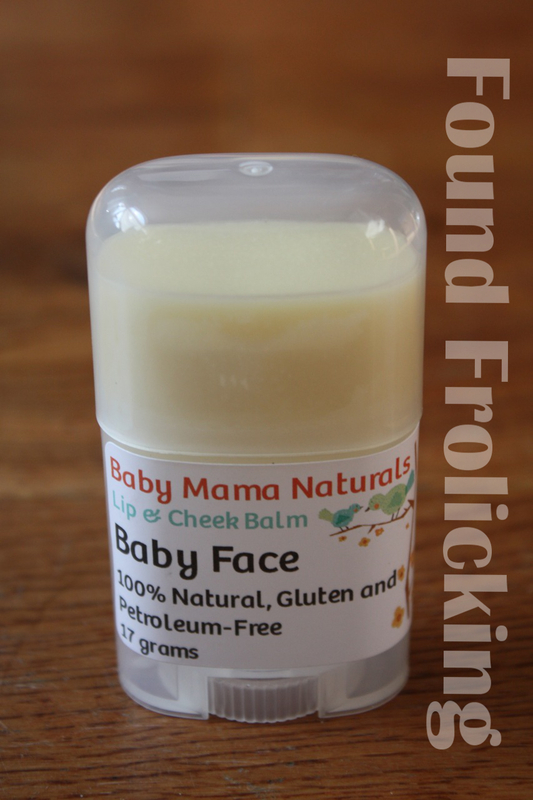 Baby Face, which is their lip and cheek balm, is another delicious product from Baby Mama Naturals' line. The stick itself doesn't seem to have much of any scent before being applied, but once it's on your skin, it starts to smell like chocolate! I've used it to try to clear up acne on Baby E's neck and on his cheeks, and it works like a charm! I've also tried it on my upper arms, where I've always had some mild eczema, and just using it one time cleared up some of it. All of Baby Mama Naturals' products are amazing, and I am sure no one who tried them would be disappointed. I couldn't pick any one of these products that I love more than the other. Baby Mama Naturals will certainly become a regular household name for us! To look at all of their products, and purchase a few (or more than a few! ), go directly to the Baby Mama Naturals website. You can also "Like" their page on their Facebook page, to make sure you get updated on their latest and greatest product news. That's not all. Try your luck at winning a prize pack! Baby Mama Naturals has kindly offered to giveaway one of each of the items above! Open to Canadian residents only. Please be sure to read the fine print below before entering, and following instructions for each entry, as incomplete entries will not be counted.